Cartagena is a city full of beauty – from the colorful walls, to flowered balconies, the views never stop. In addition to the views, the city is full of delicious food, unique experiences, and friendly locals. All these factors make it the perfect destination for those looking to visit Colombia. The city gives off a mix of New Orleans and Puerto Rican vibes, making it feel familiar, but it brings it own charm as well. 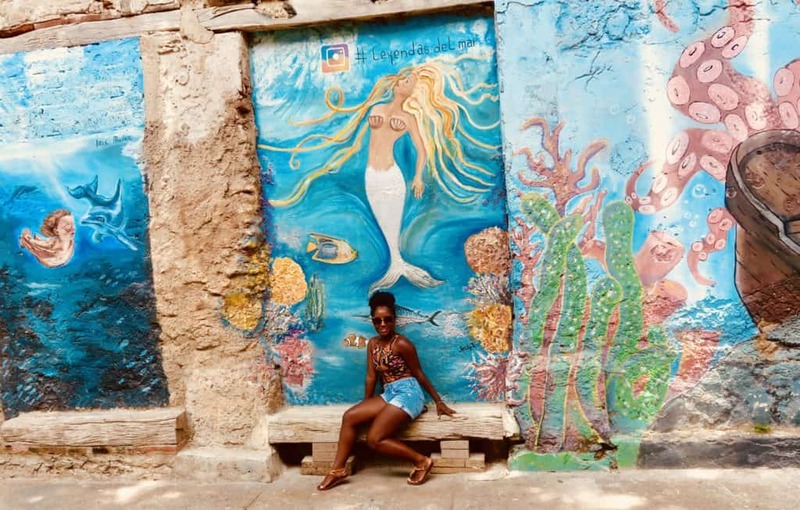 In this post I’ll give you ideas on what to do in Cartagena, Colombia, so that you have the best time on your visit there! Getting There: Cartagena is serviced by the Rafael Nuñez International Airport, a small airport right outside the walled city. This airport serves nearly every airport in the country, including Bogota’s El Dorado International Airport. Most international flights enter the country via Panama or Aruba. There are some direct flights from the US as well, from cities such as New York, Miami, and Ft. Lauderdale. Where to Stay: There are really three main options for where to stay in the city for tourists. 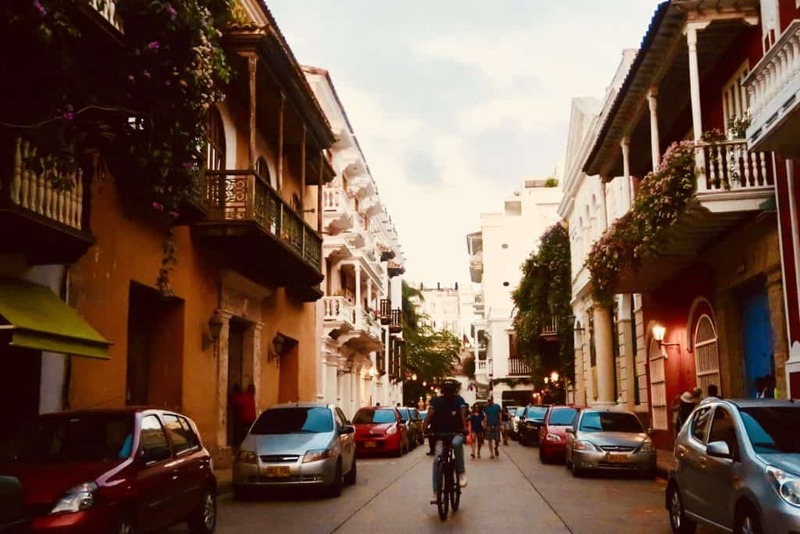 Getsemaní – This neighborhood has experienced a recent revitalization, and is full of beautiful, colorful murals, as well as great places to eat. 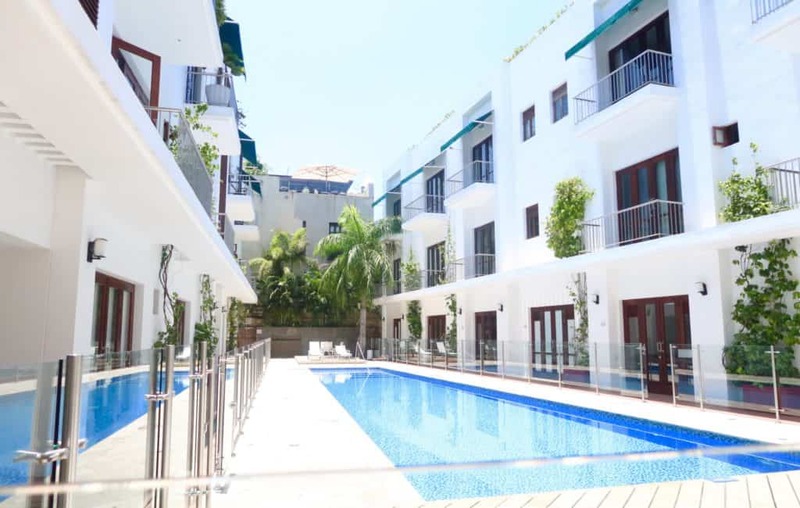 It is more residential than the walled city and does not have as many attractions. However, it does offer a lot of character and local charm. Bocagrande – This is the area of the city that gives off more of those Miami vibes in terms of how it looks. While it looks like Miami, it doesn’t feel like Miami. Meaning that it is generally more low-key than the walled city, and does not have as many attractions. If you like the quiet, it’s definitely worth checking out though. Getting Around: If you stay in the walled city, you can literally walk everywhere within the walls in 10 minutes or less. It was a running joke with me and my friends on whether our walk would take more than 7 minutes – and usually it did not! You can also walk easily between the walled city and Getsmaní in around 15 minutes or so. Getting around Bocagrande is easiest via taxi or uber, and both are readily available. You can, of course, use these options in the rest of the city whenever your feet tire :). If you decide to take a taxi, be sure to confirm the price before you hop in the car to avoide overpriced fares. 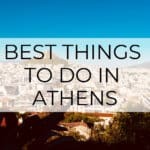 When to Go: You can travel to this city pretty much any time of the year, as the weather is fairly consistent year round. The weather is very humid with typical highs are in the upper 80s and lows in the mid 70s. There are short rainy seasons from May-June and from October-November too. You should keep this in mind as you plan your trip. Currency Situation: At the time this of this post, the Colombian Peso (COP) was valued at 2,962.13 to the US Dollar. Click here for the most current exchange rates. Most cash comes in the thousands, and most ATMs won’t allow you to get more than 400-500 thousands pesos in one transaction. Note, nearly all your transactions require cash, so be prepared to have it on hand at all times. Compared to pricing in the US, your money will go pretty far in Colombia. Language Considerations: As you can guess, Spanish is the primary language spoken by the citizens of Cartagena. I will also note that very little English is spoken in the city, so it is helpful to be armed with key phrases before your trip there. 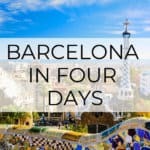 Check out my post on Spanish for Travel to help you prepare! Where to Eat: There are so many great places to eat at in Cartagena, especially if you like fish. Check out my post on the Best Places to Eat in Cartagena for some food inspo! Start the day off at the Castillo San Felipe de Barajas, Cartagena’s colonial fortress. The fortress is well-preserved, and offers impressive panoramic views of the city. After your visit to the fortress, next up is a city tour! As I’ve mentioned in many posts, like this one on Paris, I think that the best way to experience a new city is via walking tour. Even better if you do one that is “free” – I like these as the prices are tip-based, meaning the guide works harder to ensure a great time. During my time in Cartagena, we took this free walking tour offered by Travel City Tours and had a wonderful time. 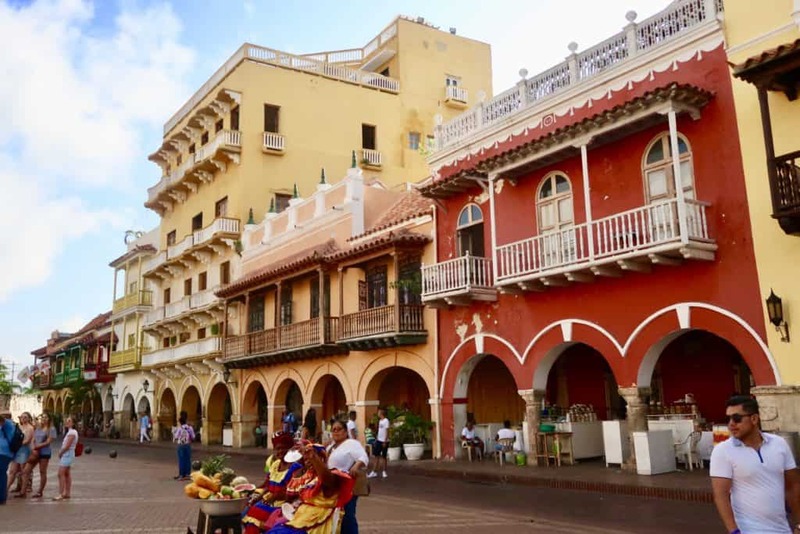 This tour take you throughout the walled city and covers a bit of Getsemaní and Bocagrande as well. Our tour guide, Milena, gave a lot of great context on the colonial history of the city as well as daily life today in the city. We explored sites such as cathedrals, squares, parks, and closed out the tour at Café Del Mar. This a popular spot offering spectacular views of the ocean. Close out your evening at Café Del Mar to catch amazing sunset views. Enjoy live music and refreshments while you soak it all in :). This tour is offered in English at 4:30PM every day except Sunday. It is also offered in Spanish at 9:30AM and 4:30PM on the same days. 10AM: Arrival at the Rosario Islands – We spent time swimming off of the coast here, you can opt to snorkel at this point as well. 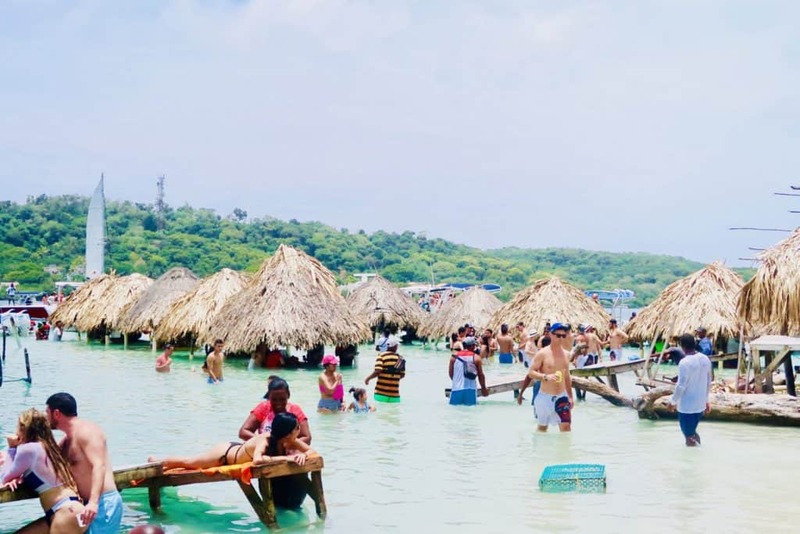 12PM: Arrival at Cholón – It was a full-on beach party here at Cholón! Lots of live music and people hanging out in the shallow waters around the beach. This is where you’ll like eat lunch – ours was delicious! Don’t let the fact that they cook the lunch in tents over open fires turn you off, those cooks know what they’re doing. Note that once you dock, you’ll be greeted by people who find you a spot to dine on the beach and serve your food, etc. For our party of 3, the cost was around $150 per person to island hop. We also provided tips to our boat drivers and those who set us up at Cholón as well. 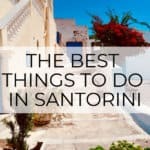 If that is out of your budget, you could opt to spend the day in just one island without the private tour component for around $50 or less, like this tour. Kick off your third day in Cartagena with a Salsa class! We took a private beginners’ salsa class at Crazy Salsa. Our class was so much fun and great for the inexperienced. If you would like to take a group class, there are various options for times, and levels of experience. You can even try out other types of dance, such as Bachata. Spend the rest of the afternoon exploring the city streets and doing some shopping with the street vendors. When purchasing, remember to bargain! The vendors actually expect it. Don’t be afraid to cut their initial offer and half, then work your way from there. If you want to start putting your salsa skills to use right away, spend the evening at Salsa Donde Fidel in the Plaza de los Coches. Here you can dance as much as you’d like or just watch from across the street in the provided seating. Whether they are real or not, it’s just a cool experience that you’ll have a hard time finding anywhere else. I will note that it does involve getting cleaned off by a group of women at the end, which may seem too personal for some. You do have the option to clean yourself, but you probably won’t do it as well as they can ;). If you take the tour in the morning, you will have lunch provided after your dip in the mud. This is why you should take this option over the afternoon one. As with the boat tour, it is pretty much required to tip those who help you throughout the process. Tips should be valued at around $1-2 USD, so won’t break the bank. If you are interested in this tour, you can book this experience using this link! Inside the Totumo Mud Volcano! 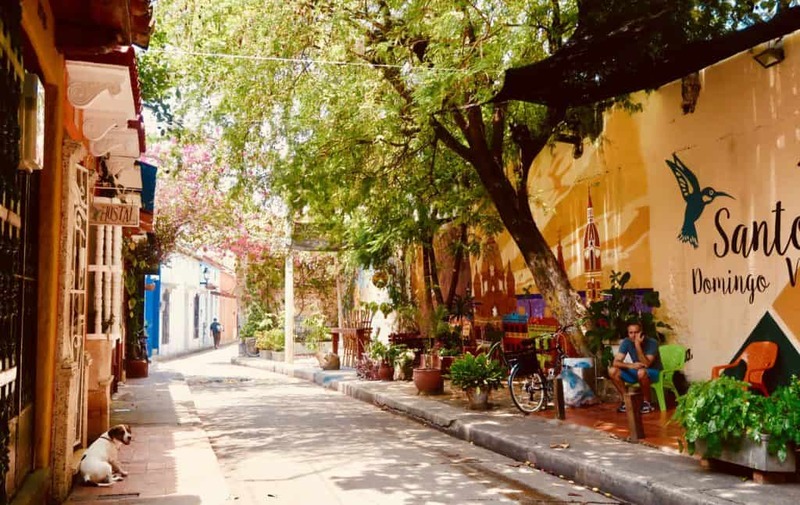 When you get back to the city, spend the afternoon strolling the streets of Getsemaní. It is the perfect place to grab snapshots for Instagram, as the streets are full of beautiful murals – some of which were designed for this very purpose. While in Getsemaní, you will be able to shop for prices lower than what you find in the walled city as well. So if you want to save your coins, this is the place for you. 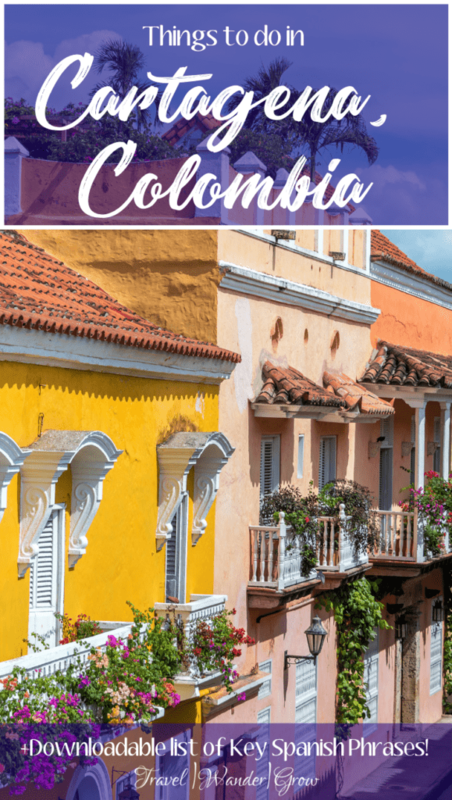 I hope that this post gives you a good idea of what to do in Cartagena, Colombia. 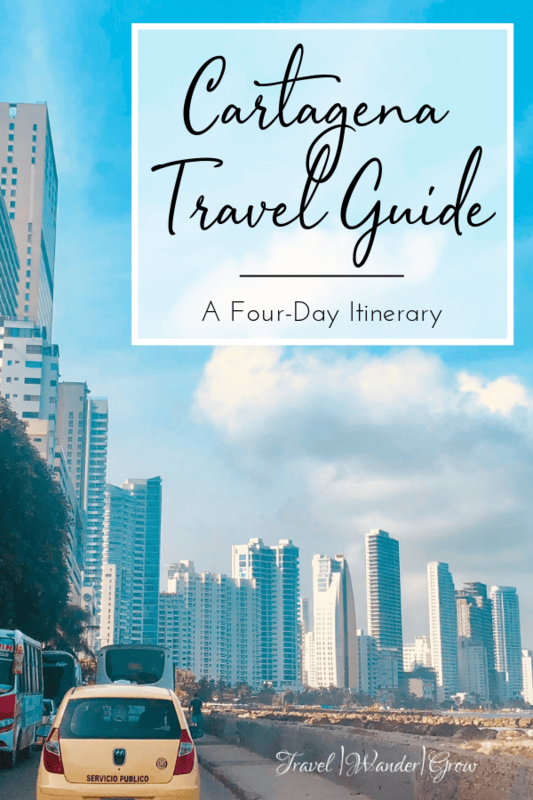 This itinerary is not comprehensive, of course, but will allow you to cover a good amount of ground in a short amount of time. I loved my time there and wish I had more of it! 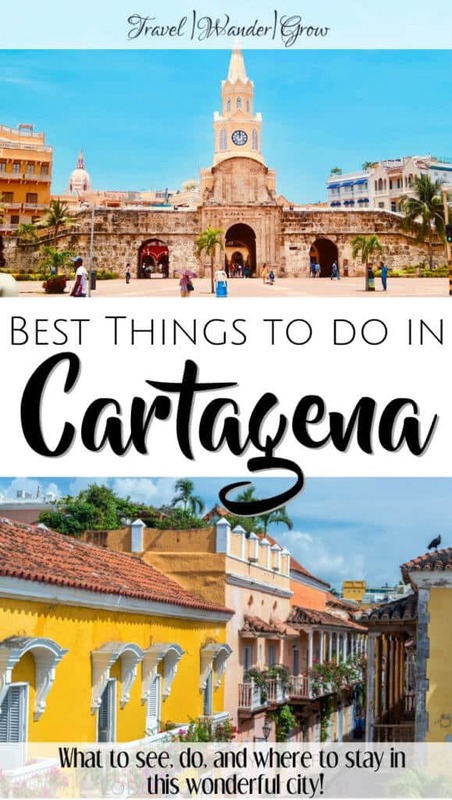 If you’ve been to Cartagena before, what did I miss?? Put your recommendations in the comments below! 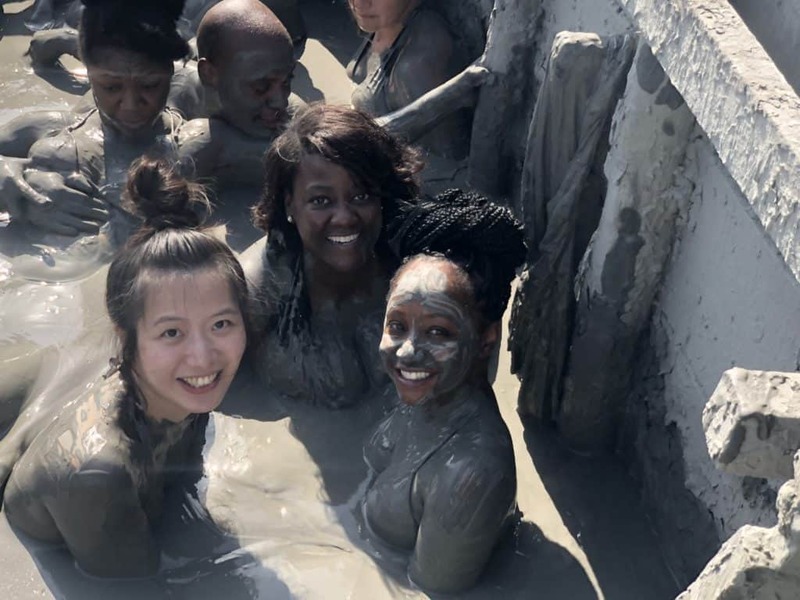 Love the images and the mud volcano looks like a must do. I am glad the you mentioned about the what not to eat, this is very important to someone like myself who is very fussy anyway. Glad to know this information. Glad that you will add this to your travel list, Jennifer :)…If you do decide to travel there, I’m happy to answer any questions! 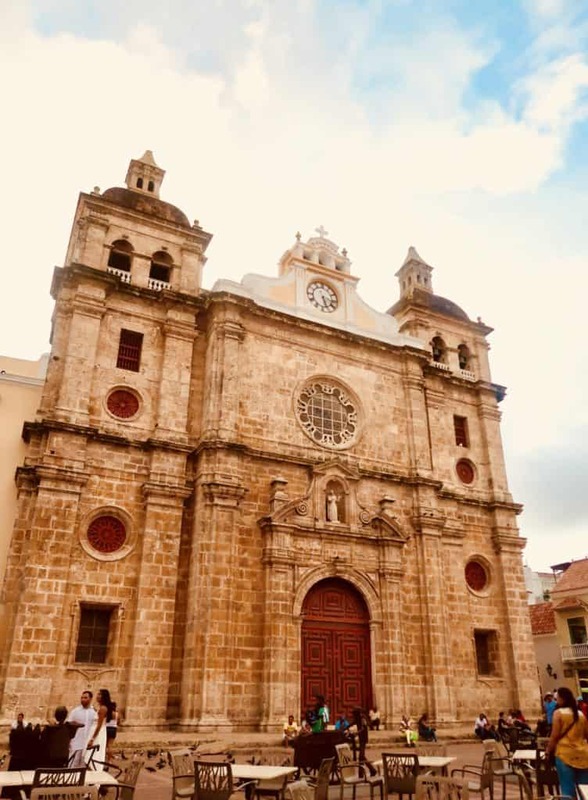 This is really a great post on Cartagena Columbia with the itinerary. I had not thought about going here up to now. I now will put this on my bucket list. You have provided just about everything I need to think about or know before I head here. Thank you! I just wanted to drop a quick thank you! 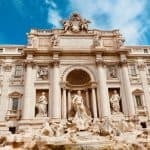 A truly detailed guide of what seems like an awesome place to visit. In fact, already booked my tickets for the next spring. Truly excited. I don’t really ever decide on travel destinations that fast, but my wife was also totally into it, she told me she’d always wanted to visit Colombia. She also happens to know Spanish pretty well. As for myself I’m usually not the kind of museum guy, but the Emerald Museum and Museo de Cacao got me really interested. I bet they’re awesome. That and the fact that I’ve always wanted to take a dip in some badass mud, haha! Cheers and thank you for sharing! We appreciate it! Thanks for this great post! Colombia is a country that I really like the look of but havent yet made it there. 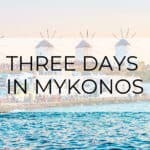 I have bookmarked this post as it will be really useful when I start planning my trip. Did people try and put you off going by telling you it was too dangerous? I did hear comments from some people that Colombia is dangerous, and there are some areas in the country where that is a concern (as almost anywhere). But Cartagena is VERY safe. I never once felt in danger, even when exploring late at night. WOW, great article. Your information is great! Your pictures are beautiful! Thanks for creating this site. 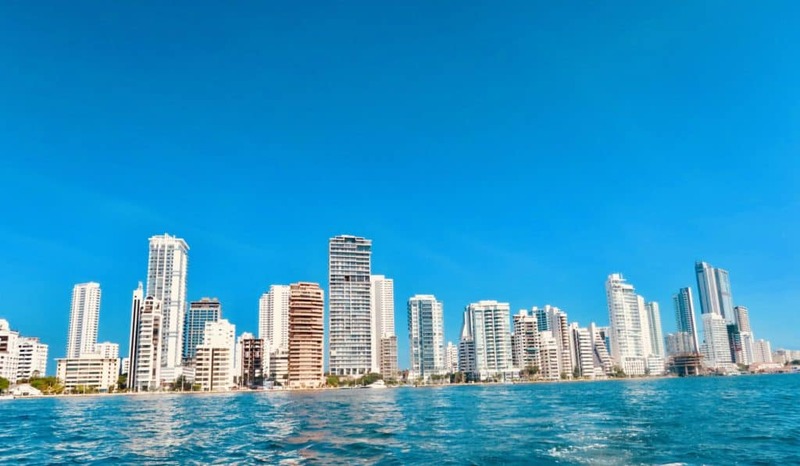 It will be very useful for anyone planning a trip to Cartagena. I love it! Wow Colombia looks beautiful! I hope I can go there one day! We went to Cartagena last October and would definitely recommend Volcan del Totumo. It’s a rather interesting (and surprisingly fun!) experience. You took great photos Christen!